Did you know that recent excavations at Tel Megiddo have uncovered a massive Canaanite temple complex that dates to the 4th millenium BC (3500-3000)? This is an extraordinary find as archaeologists believed that Canaan during this period only consisted of small towns and villages with cities only apprearing in the early 3rd millenium. The details of this find and its interesting ramifications can be found at the Biblical Archaeology Society’s website (biblicalarchaeology.org). 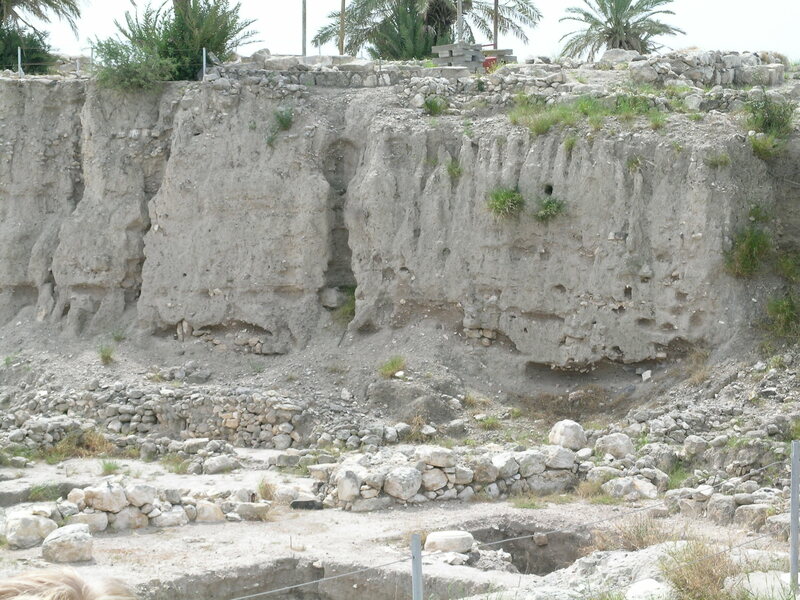 Unfortunately, you may need to have a membership to view the article, but you can also see a brief report by one of the excavators at the following site: Revelations from Megiddo. The photo of the Canaanite altar below (the round stone structure in the middle of the picture) gives bible readers an idea of what a Canaanite altar looked like and the enormity of its size. 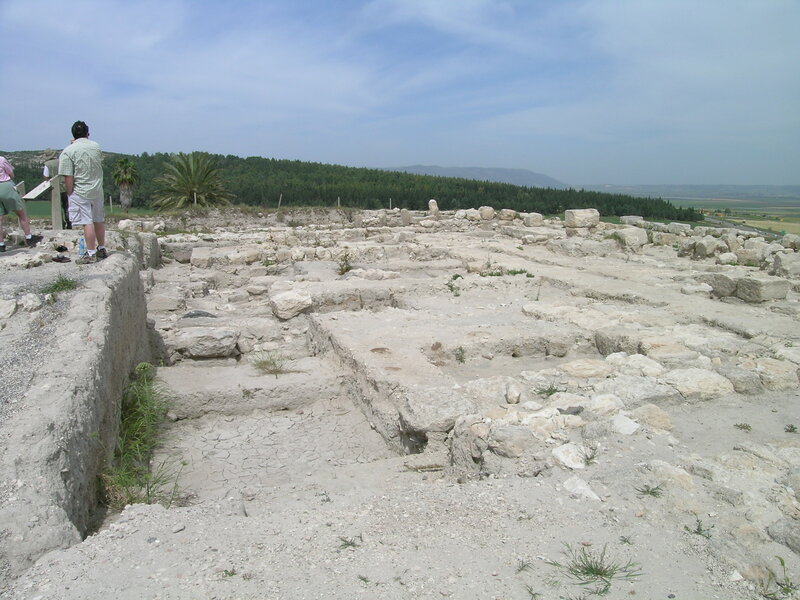 Canaanite altar and temple complex area at Tel Megiddo. Photo from 2006. Recent excavations have exposed more of this area. But some of you might say I’ve gotten ahead of myself. 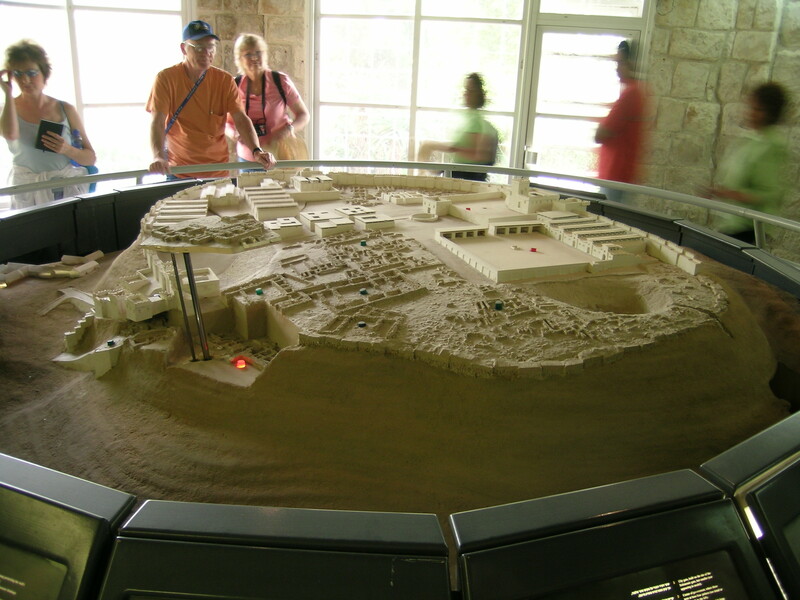 What is so important about Tel Megiddo anyway? Tel Megiddo is most popularly known by the name given in Revelation 16:16 – “Armageddon” (mountain of Megiddo), the place where the last battle is to be fought between the Lord and his enemies (But see my more recent article entitled: Where Will the Battle of Armageddon Be Fought? for a different solution!). Actually Tel Megiddo has experienced many battles over the centuries, and even though the city was destroyed in the 4th-5th century BC, battles have continued to be fought in its vicinity up to modern times (this includes Napolean, and General Allenby’s battle with the Turks in 1917 during WWI). Tel Megiddo’s location at the head of the Jezreel Valley guarding the way of the Via Maris (way by the Sea), the ancient trading route between Mesopotamia and Egypt, made it a key player in international politics in ancient times. Archaeologists have uncovered between 20-25 layers (depending who you read!) of civilization spanning 6 millenia. 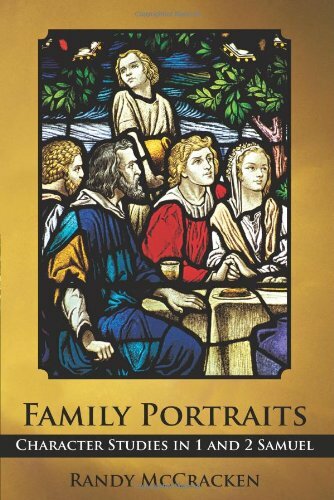 Although Joshua initially defeated the king of Megiddo (Josh. 12:21), Megiddo did not fall under Israelite control until probably the time of David. 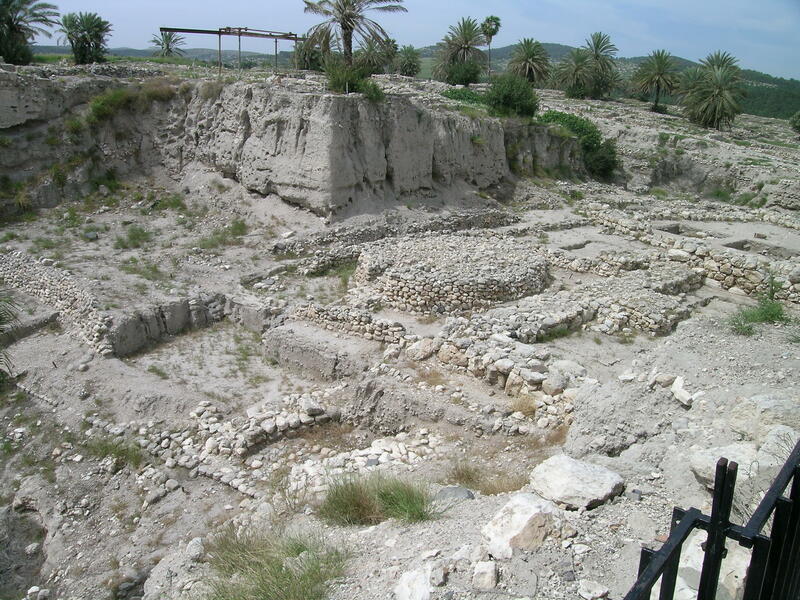 The Bible tells us that Solomon fortified Megiddo and made it one of his royal cities (1 Kgs. 9:15). Although some dispute this, many scholars believe that the remains of the northern palace and the city gates can be dated to Solomon’s building activity. 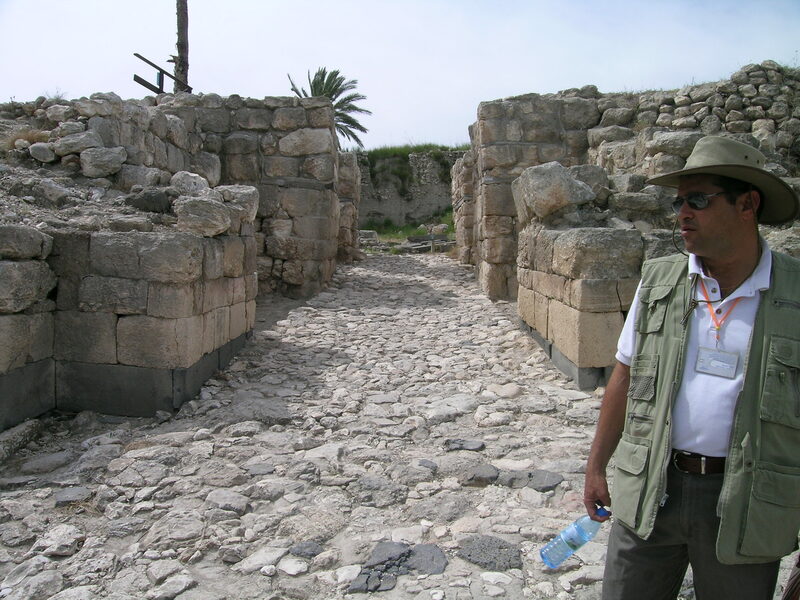 Megiddo is also the place where two kings of Judah died. The ungodly Ahaziah died there after being wounded by King Jehu of Israel (2 Kgs. 9:27), while the godly King Josiah was killed in battle as he attempted to block Pharaoh Neco who was advancing to help the Assyrians against the Babylonians at Carchemish (Syria) in 609 BC (2 Kgs. 23:29-30; 2 Chron. 35:20-24). There are a number of excellent websites that have more thorough articles on Megiddo such as the Jewish Virtual Library (http://www.jewishvirtuallibrary.org), or you can just google “Megiddo.” My purpose here is first, to introduce people to this interesting site, and most importantly, to show how new excavations continue to transform knowledge in the field of archaeology. Some archaeologists will assert that archaeological data frequently contradicts the biblical account. But archaeology is an ever-changing field as new discoveries are made. No one thought that ancient Canaan of the 4th millenium had any significant cities. This recent discovery changes a former archaeological dogma into what is now known to be an incorrect assumption. There are thousands of ancient mounds yet to be investigated with the archaeologist’s spade, not to mention the fact that even those sites that are being (have been) excavated are only partially uncovered. This research is incredibly exciting, as new information is constantly being uncovered about the world of the Bible, but with so much more to yet discover, we should also be cautious about accepting as solid fact, every theory that is offered by archaeologists. Next time I will look at a site (Tel-Qayifa), and a discovery from another site (an inscription from Tel-Dan), that has challenged liberal archaeological theories concerning the nonexistence of David and a Davidic kingdom.